Hello friends! The past few days have been so hectic, I almost forgot to share about Pretty Pink Posh huge giveaway and designer guessing/matching game (more about this below). Pretty Pink Posh also introduced a few new designers (big welcome to you ladies! ); I am happy to say I am staying on for the next term. Pretty Pink Posh is a wonderful place to be! Now the matching game! If you already follow Pretty Pink Posh, you might remember this Designer Matching Game where you had to guess which designer made the cards shown in the photo above. This year Paulina is doing it again and one of my cards is in there somewhere! Care to guess which one it is? Is was published on my blog a few month ago. Hint-hint – mine has a lot of yellow! Pretty Pink Posh is offering a $100 Pretty Pink Posh gift certificate! How can you win? 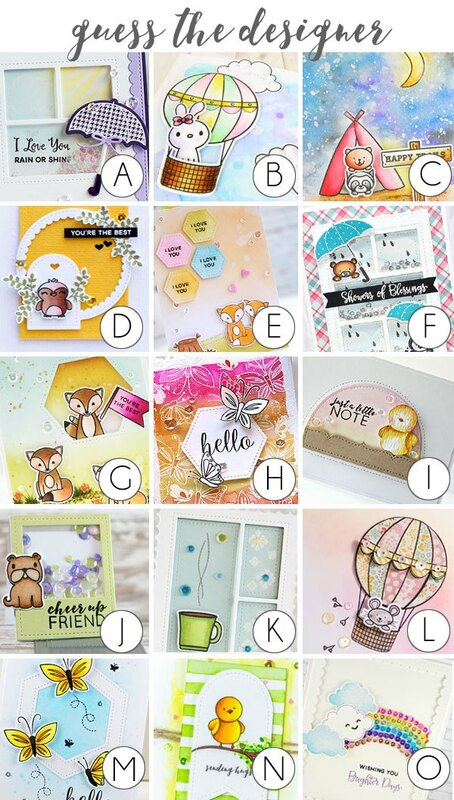 Go to PPP blog and guess which designer made which card. Guesses must be submitted by September 4th to qualify for a chance to win. Loved your card when I saw it the other day! Welcome back as a PPP DT member and looking forward to seeing so much more! Yana, I absolutely love your work! You do such great work. Have take a page of your book, as to the swatches of colors. Thank you for sharing tips and talent.